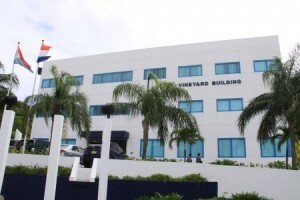 PHILLIPSBURG, WILLEMSTAD - Prosecutor’s Office calls for witnesses in criminal investigation into vote-fraud On September 26, 2016 the people of St. Maarten went to the polls to elect a new parliament. The Prosecutor’s Office meanwhile received indications that voters may have been bribed to cast their vote for a particular party or person or were approached to do so. In light of this new development the Prosecutor’s Office calls on anyone who has information about any suspicious situation concerning vote buying that may have taken place, or who were approached to accept money or any other type of goods or favors, to please contact the National Detectives Agency (Landsrecherche) at 526-2242. All information will be handled confidentially. It’s also possible to call the anonymous tip line of the police at: 9300. Investigators will hear persons who were approached (but did not agree to anything) as witnesses, not as suspects. It is with respect to the importance of fair and just elections in the country of St. Maarten that the Prosecutor’s Office and the Landsrecherche urgently call upon witnesses to come forward, if need be anonymous.